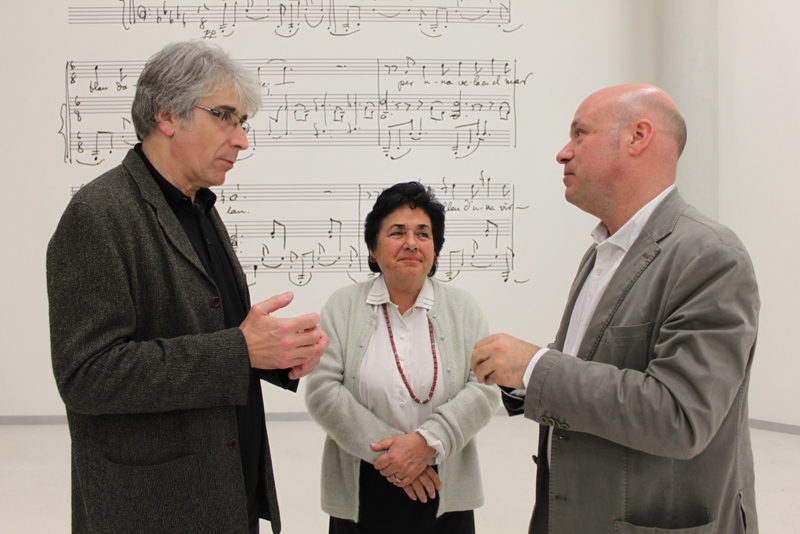 More than 500 people filled the Centre d’Art Contemporani La Sala this past January 4, to catch a live glimpse of the finale of the Milà plays Falla promotional tour. The event proved surprising, a blend of word and music, emotive, warm and, at times, spectacular. The line-up of guest artists played an integral role in its success: Pedro León (violin), Carles Masdeu (tenor), Maria Lluïsa Muntada (soprano), Josep Buforn (piano), Josep Surinyac (piano), Miquel Bernadó (cello), Pere Tapias (singer-songwriter), Toni Albà (actor), Oriol Pi de Cabanyes (writer), Jaume Aguiló (representative of the Garraf Chamber Orchestra), Miquel Bernadó (cello), the Estrop Choir and actress Carme Sansa, in her duties as hostess. Everyone offered up a show brimming with quality and warmth, which captivated the audience from the word go. Leonora Milà performing works by Manuel de Falla was one of the evening’s most emotive moments, as was her encore: the Ritual Fire Dance alongside violinist Pedro León. Thanks to its immense reception (more than 150 people were unable to enter La Sala, at full capacity), we are looking into a repeat performance sometime before late February. We will keep you informed. Saturday, February 12. 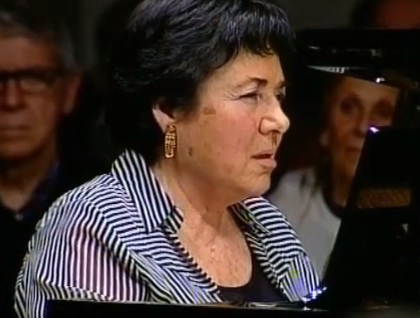 This is the date chosen to hold the repeat performance of the Milà plays Falla promotional tour finale, celebrating the latest record of pianist and composer Leonora Milà. Ritual Fire Dance. L. Milà and P. León.